Besides creating campaigns with portrait orientation, you need to adjust the device settings in order to display the content in vertical orientation. 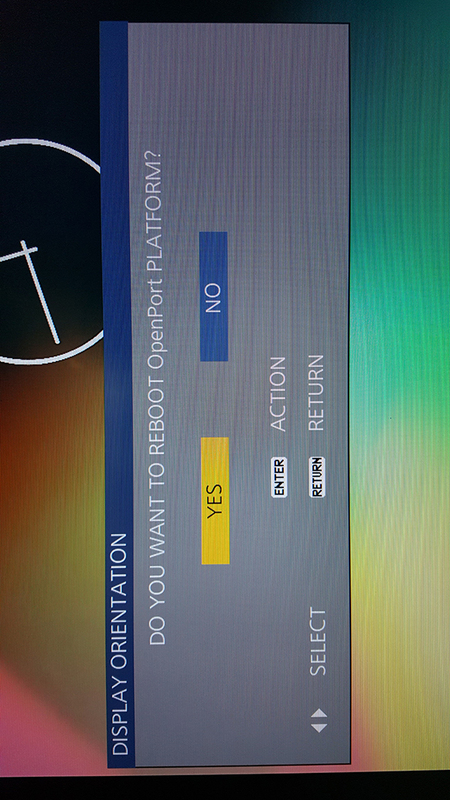 Turn your display on and select “Open Port Mode” after hitting “Input” on the remote control. Click “Setup” on the remote control. Scroll down until you find the “Display Orientation" option. Click on the left or right arrow on the remote control to change it to portrait. Confirm this selection. 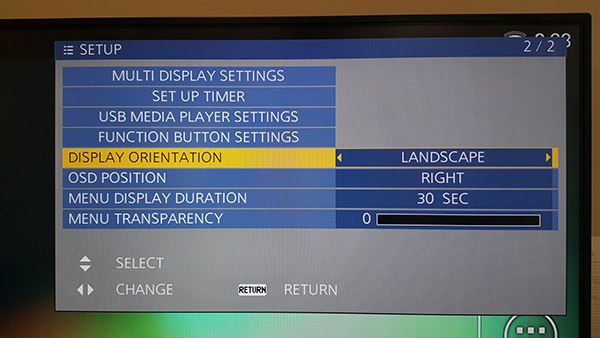 The screen will automatically reboot to set the modifications.